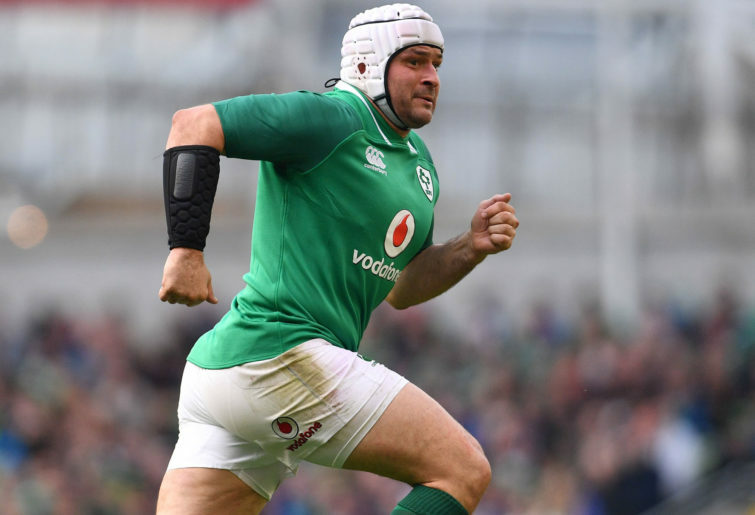 John Mitchell, England’s new defence coach, made the rugby quote of the year in his prediction about how Ireland was going to try to defeat his side at Aviva Stadium in the opening round of the 2019 Six Nations tournament. Ireland were so boring with their predictable tactics based around box kicking and a swarming, fast defensive line that they bored themselves into defeat. A telling example of this came towards the end of the Test when Ireland needed two converted tries to grab a slim lead. Conor Murray, admittedly under a bit of pressure inside his 22, kicked the ball out, giving England a prime attacking situation. Ireland were so programmed that they couldn’t break the pattern and try some off-the-cuff rugby the way, say, the All Blacks do when they need to save a Test. And when, in the dying minutes of the Test, Ireland finally tried to run the ball an errant pass was gleefully intercepted and England scored another try. Master Japanese potters always put a small flaw in their pots because perfection is boring. Translated into rugby thinking, Joe Schmidt’s pursuit of a perfect game plan, endlessly rehearsed, needs to be adjusted to allow some flaws or improvisations so that Ireland play what is in front of them rather than what the blackboard has demanded. England’s response was tactically correct, demonstrating that coach Eddie Jones has a gift of preparing his teams for one-off must-win matches, something he pulled off in the 2015 RWC when his Japanese side defeated the Springboks. England started with a magical set play series that lead to a try. 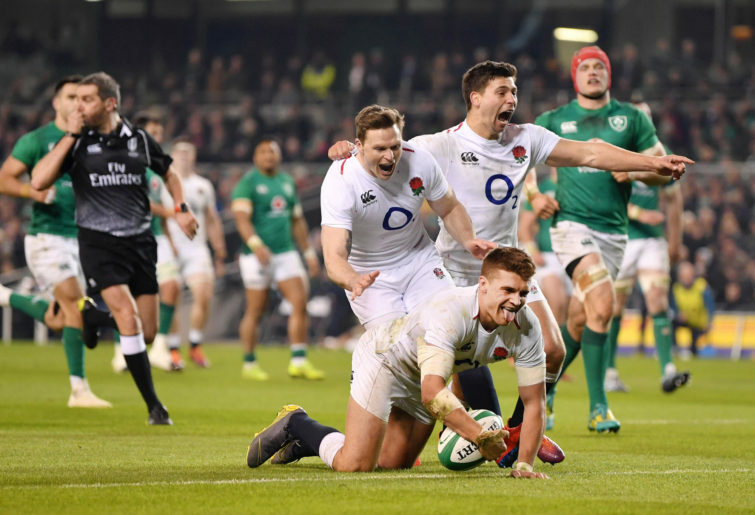 The set play put Ireland on notice that their rushing defensive pattern had to be adjusted to allow for the possibility of England having answers to it. Aside from some later improvised running at the end of the Test, England’s answer to Ireland’s method of trying to bore oppositions into defeat was to retaliate with the same boring play. But there was a method in England’s boring play. So for most of the Test we had England matching Ireland with boring box kick for boring box kick. The point here was that England was making Ireland try and play their patterned sequences well inside their own half. Generally after a few hit-ups Ireland resorted to box kicks, which England then returned to start the sequence of plays over again. All the brilliant play belonged to England. And this is why they won the Test and why they deserved to win it. England’s first try, in the opening 90 seconds, was a textbook thing of beauty involving a long lineout throw caught by their inside centre Manu Tuilagi, a switch of play, a brilliant bullet pass to from Owen Farrell and a tremendous gallop down a tight sideline by Jonny May. After this, England forced Ireland to play their stereotyped game from deep in their own half. When England gave away penalties, especially in the torrid opening 20 minutes of the Test, most of them were deep inside Ireland territory. 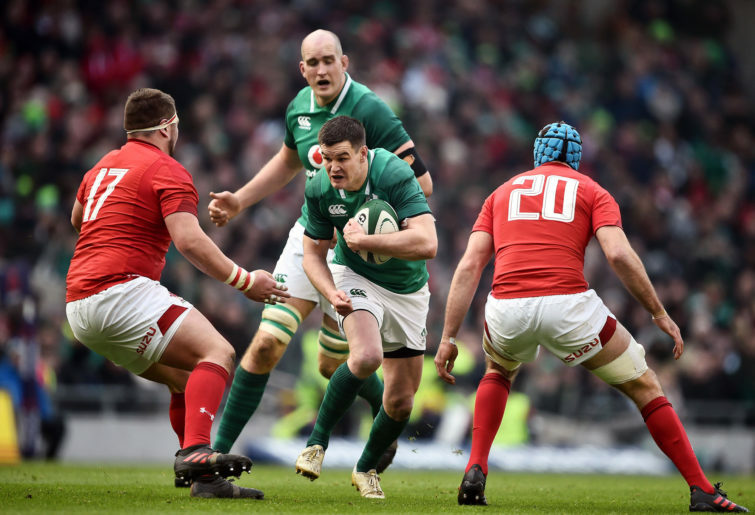 Ireland’s method of boring for victory relies heavily on virtual perfect execution and, most importantly, on referees being lenient on some of their infringing tactics. The fact is that Ireland have been treated generously by the referees during their golden run of victories. In the victory against the All Blacks late last year, for example, Ireland conceded only five penalties for the entire Test. No side, especially under the pressure exerted by the All Blacks (unless we are talking about France in the 2007 RWC quarter-final at Cardiff), in a technical game like rugby with complicated laws and by-laws, can play this error free. But in the first half against England, Ireland repeated the miracle by conceding only one penalty. There was a small flurry of penalties against Ireland towards the end of the Test. This was, significantly, the period when England piled on several tries. I thought that Ireland once again were treated more leniently than their opponents, England. During the Test I spotted an Irish head-high tackle made in front of their posts, Conor Murray standing off-side at rucks when his side was under pressure, Ireland forwards killing the ruck ball repeatedly by either playing the ball with their hands or lying on the wrong side and several scrum infringements. For the most part the referee, his assistants and the TMO did not bother to punish these infringements. It will be interesting to see in the next rounds of the Six Nations tournaments whether Ireland starts to receive the same penalty treatment that referees have dealt out to their opponents. Also, Joe Schmidt’s formidable and well-deserved coaching reputation will be under stress. He needs to find a game plan for Ireland that is not as predictable and therefore easily read now that Eddie Jones has broken the code for all the other coaches. There is a saying in sports that losses are sometimes more valuable than wins. Schmidt and his fellow coaches in the Ireland camp now know that the code has been broken. They need adjustments to the code and game plan to restore its degree of difficulty for opponents to read. It will be fascinating to see how Schmidt and his coaching staff rise or fail on this necessary task. And one further comment on this matter that brings it close to home. I hope Michael Cheika, who apparently is in Europe watching some of the Six Nations Tests (I guess someone has to do it) takes note of the need to continually tweak game plans so that some of the predictability is taken out of them. Cheika, it seems to me, hasn’t changed the game plan of the Wallabies since the 2015 RWC tournament. If significant changes are not made to the patterns played for four years by the Wallabies, then the general lack of success over those years is certain to be repeated this year.